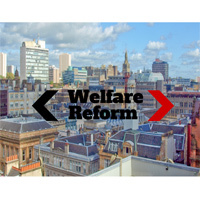 GCVS recently submitted a response to a Scottish Parliament Welfare Reform Committee Call for Evidence. The Committee wanted to gather information and ideas on how Scotland could best use the further social security powers that will be devolved as part of the Smith Commission settlement. If you have any comments about our response, or if you’d like to help us develop consultation and evidence responses in the future please let us know.